Looks like you're on an iPad in portrait mode. A combined design studio and manufacturing facility. 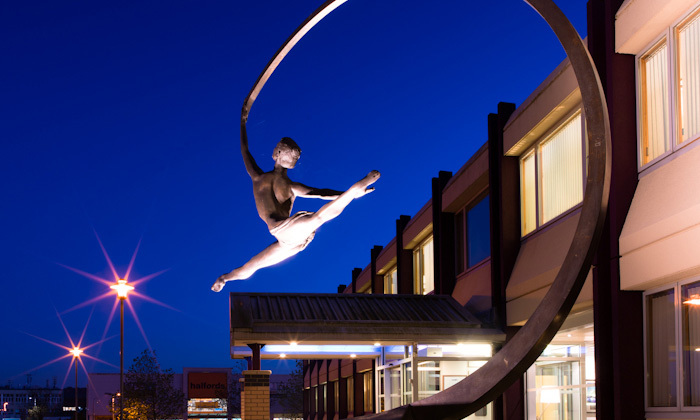 We offer a range of bespoke products along with printing, cutting, design and fabrication services. 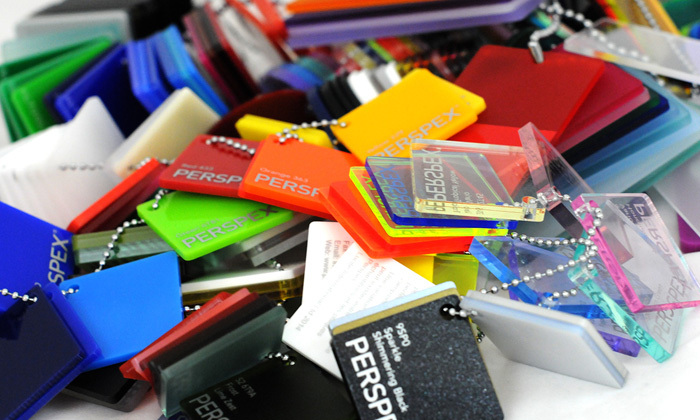 The Fourdot Promo division have become experts at producing custom Keyrings using a large combination of materials, state of the art laser cutting, printing and fabrication equipment. This can range from a simple laser cut shape to a fully printed, custom cut keyring in any amount, from 250 up to 10,000+. Fourdot Promo can turn around bespoke projects with ease. 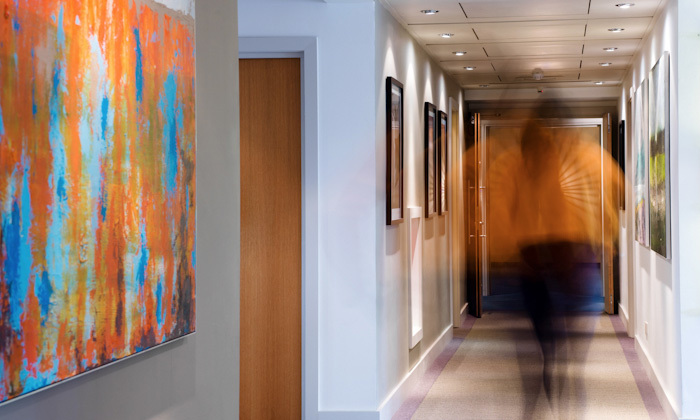 Our internal design team make sure our projects hold excellent quality and they are known to help our clients, bring their ideas into the real world. Need a quote or just want to have a chat? 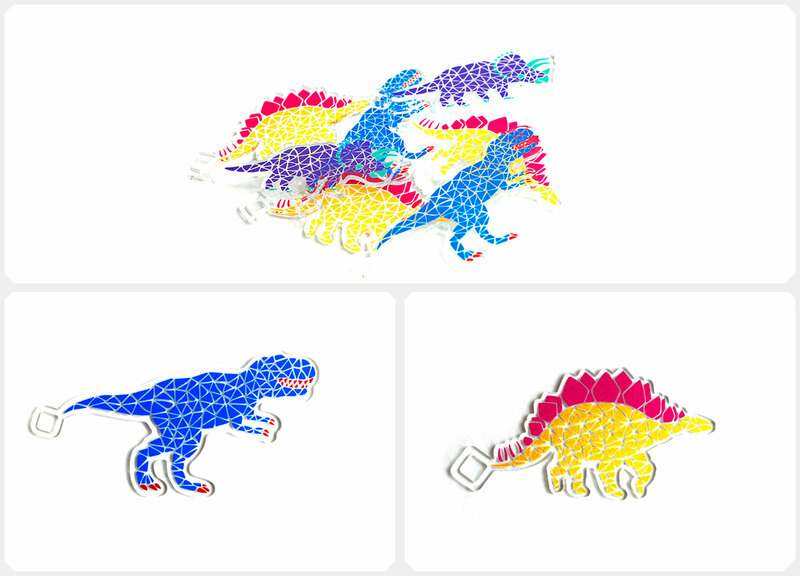 A series of colourful mosaic dinosaur keyrings designed by Jennifer Haugan at Fourdot. 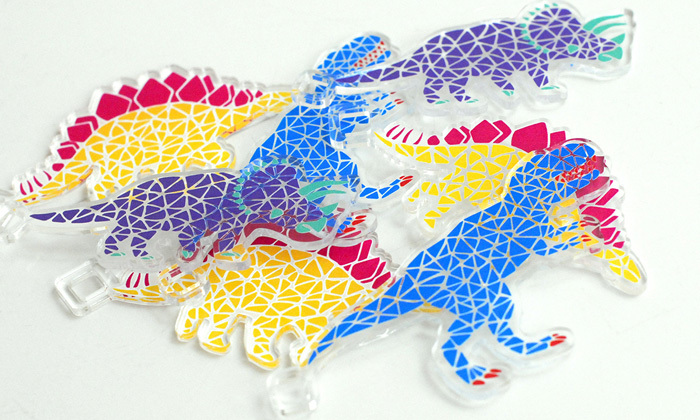 These keyrings are a superb example of Hi-resolution printing, using an assortment of fun colours, combined with the quality of a laser cut, customising the shape leaving a glass like finish on the acrylic. Material: Clear Continuous Cast Acrylic, UV cured ink, White Vinyl backing. 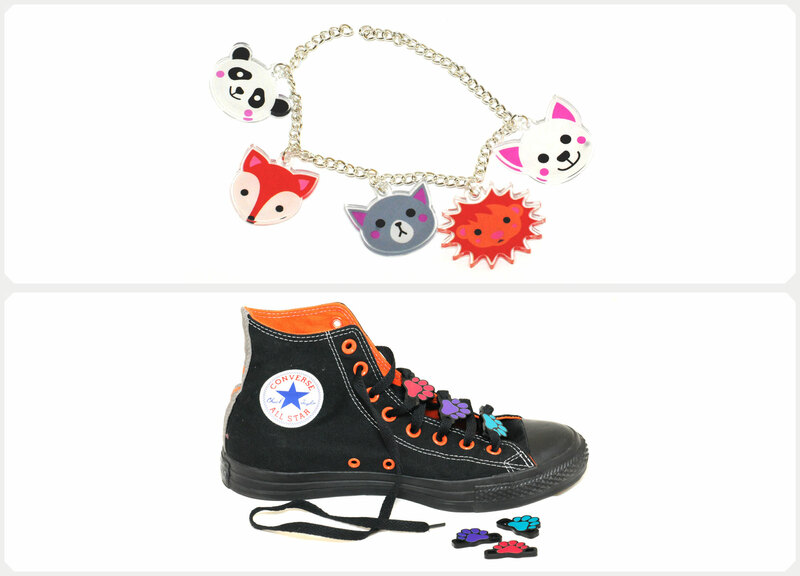 Processes: UV printed, Laser cut, High pressure Vinyl application. Proto-type Keyrings produced for new starters at the University of Westminster, many versions were made using different techniques, shapes and materials, all designed into different custom shape cuts. 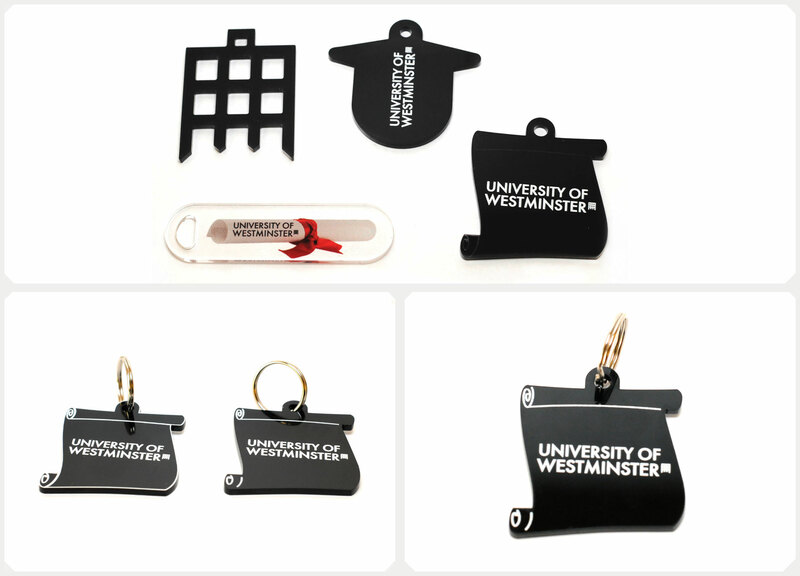 The University decided on the black gloss acrylic keyring, cut into the shape of an open scroll and printed using Hi-resolution UV printing, finished with a simple split ring. Materials: 3mm Black Gloss Acrylic, UV cured ink. Process: UV Printed, Laser Cut. 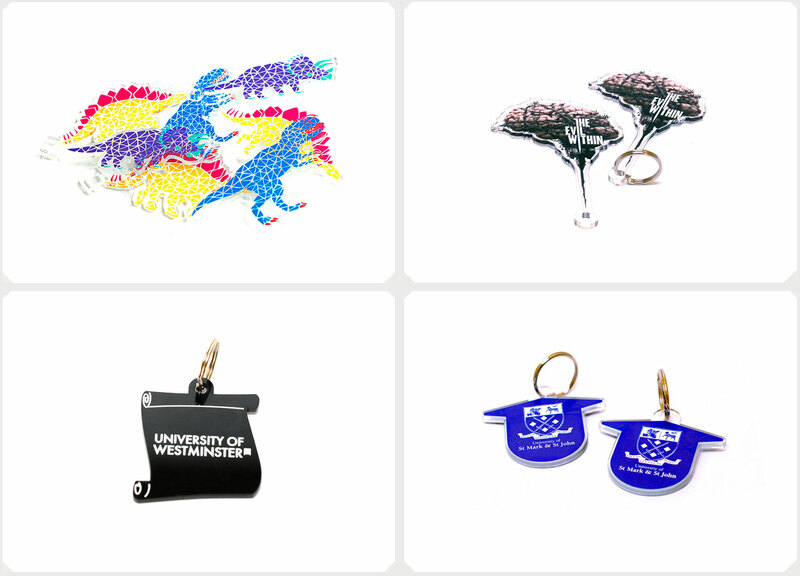 Fourdot produced two sets of Keyrings for the University of St Mark & St John Plymouth. One set for their graduation and the other to be used in their Big Open Day event. The Graduation keyring was printed on both sides and cut into the shape of a Mortar Board. 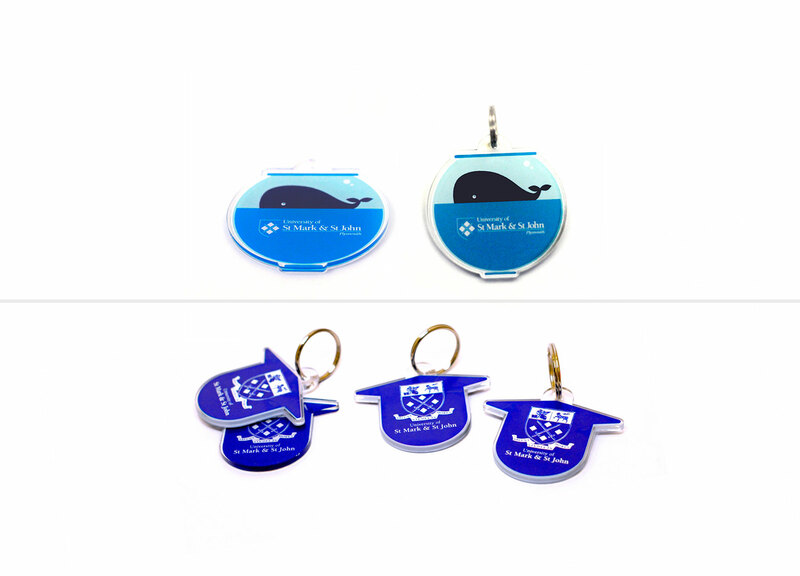 The Big Open Day keyring was reverse printed and cut into the shape of a Fishbowl to go along with the special branding for the Big Open day and the Big whale. Fourdot were asked to prototype keyrings in the shape of the Evil Within logo for the release of Bethesda's AAA Video Game. 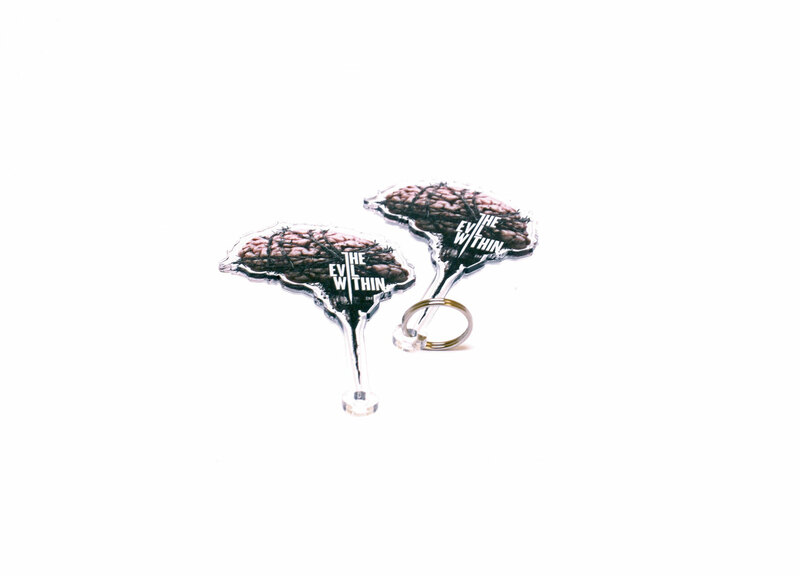 The keyring was specifically cut to the contours of the distressed brain design adding a connector loop at the natural point of the logo. The Keyring required the use of Hi - Resolution printing to acquire the correct image quality, and a white mask to give the image enough depth. The Lets Talk Keyring were produced to be given out with an awareness campaign aimed at University students in the UK. 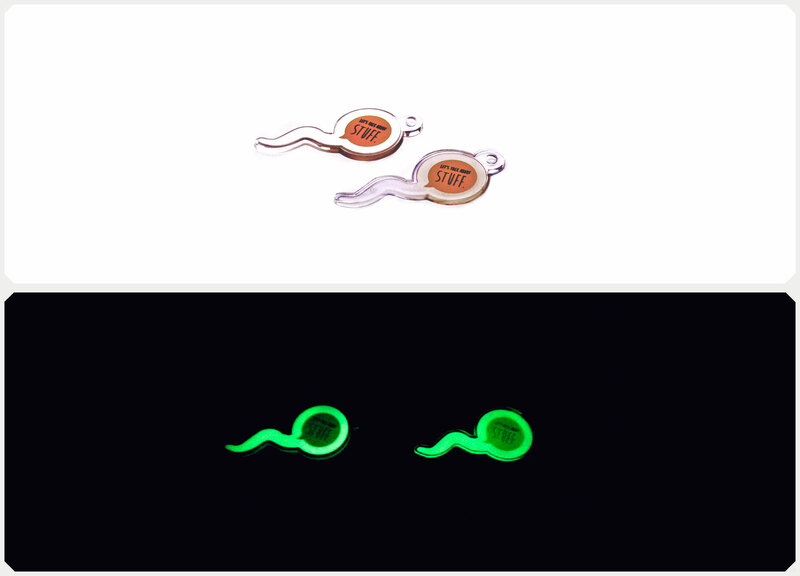 Cleaer Acrylic was cut into a sperm shape, printed and then backed in Photo phosphorous vinyl. Two versions were created, one reverse backed and printed and the other front vinyl applied and then printed. This gave different levels of luminosity. 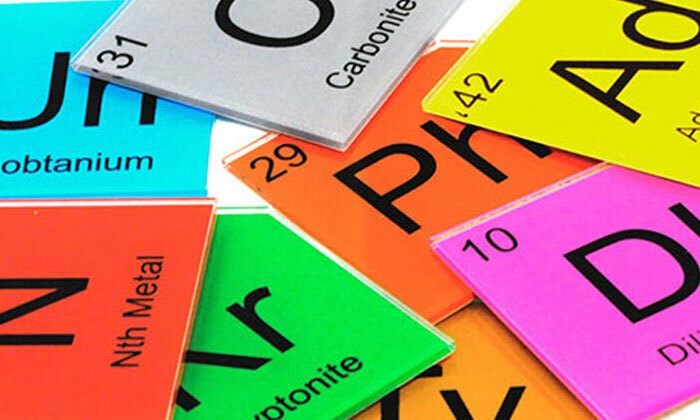 With the power of our Eurolaser at hand and our large format UV printer we are able to produce interesting display tags from all types of materials, creating all manner of effects. See some of our projects over the next few pages. From small runs of 250- 500 right up to 10,000+ Fourdot Promo can turn around bespoke projects with ease. 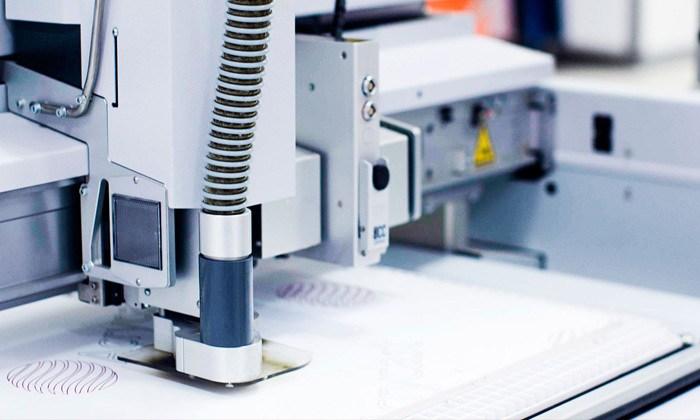 Custom printing, cutting, etching, fabrication and design are our specialities. 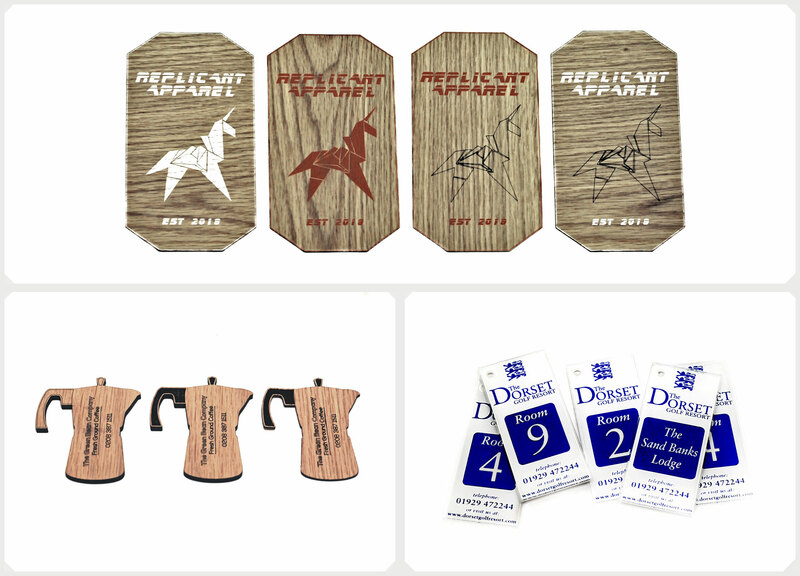 Swing Tags produced for Replicant Apparel to be used on their upcoming clothing range, they wanted a great hi-quality, collectable swing tag, our designers worked with them to produce just that! 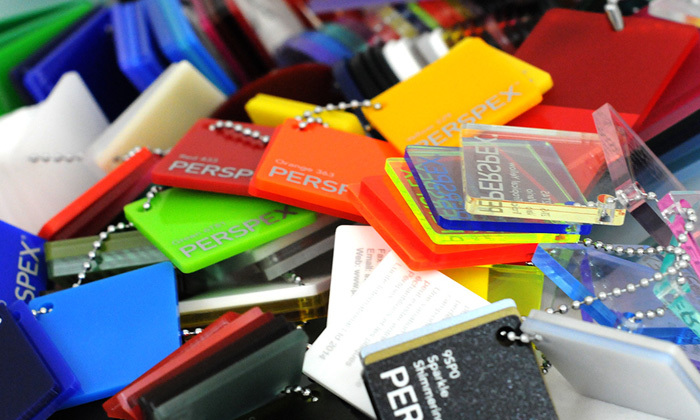 A series of swing tags were produced using various colour prints combined with etching, using our state of the art Eurolaser, to give a unique look. 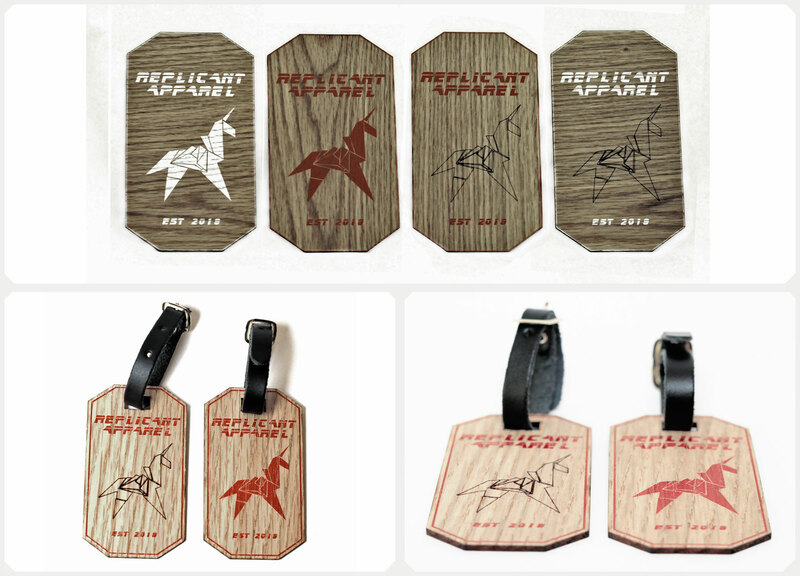 All of the swing tags were finished with leather straps. Materials: 2.5mm Oak Veneer, UV cured ink, Leather buckle. Process: Hi-Resolution Printing, Laser Cutting, Laser Engraving. 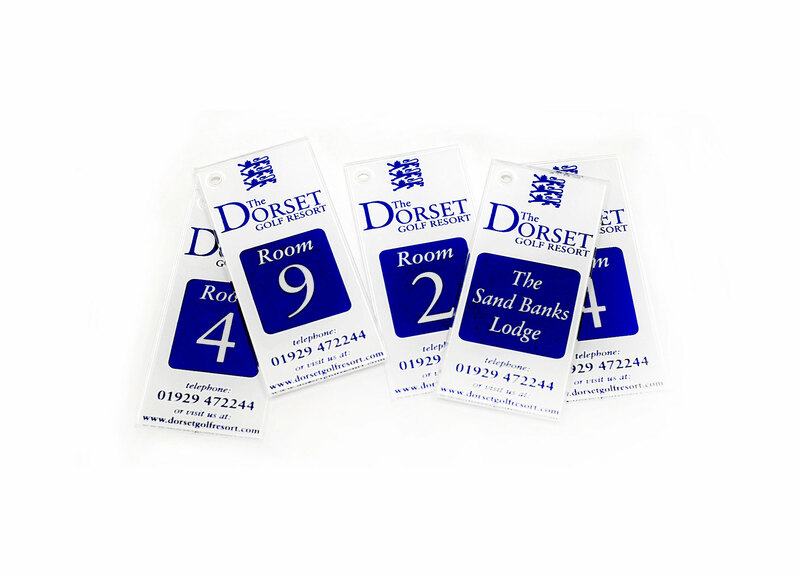 The Dorset Golf Resort were looking for simple hi-quality room tags/fobs for their hotel. With a pre-designed setup delivered by the resort we reverse printed the key fobs onto clear acrylic to give them a glass like quality. Each piece was individualy printed using a Hi-Resolution UV printer. Finally they were laser cut for a hi-quality clean finish. Materials: Clear Cast Acylic, UV Cured Print, White Vinyl Backing. 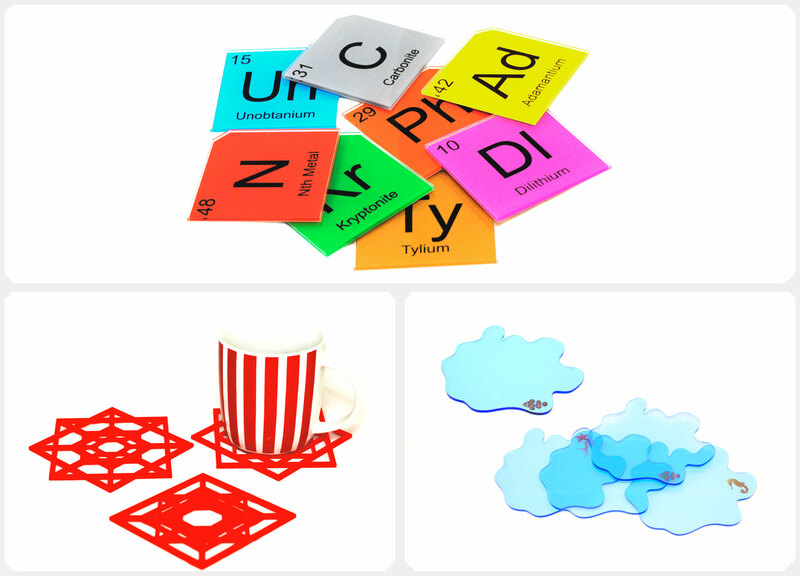 Process: Hi-Resolution Printing, Laser Cutting, High Pressure Vinyl Application. Fourdot produced a prototype contact tag to be packaged with Green Tea products. The Tag was produced on Oak veneer to give a rustic feel, fitting with our clients branding. 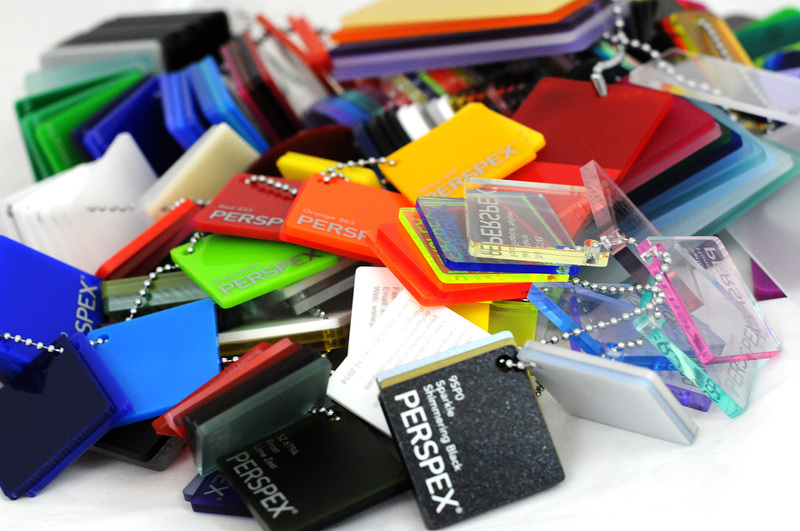 The tags were produced using our Eurolaser to engrave and finally cut out to a unique shape. The Fourdot Promo division utilize a range of large format printing methods to produce promotional products and advertising materials. We conduct Hi-Resolution printing on all types of materials from standard Banner Vinyl, to Acrylic, metals and even carpet! Allowing our fabrication team to produce bespoke signage to any specification required. 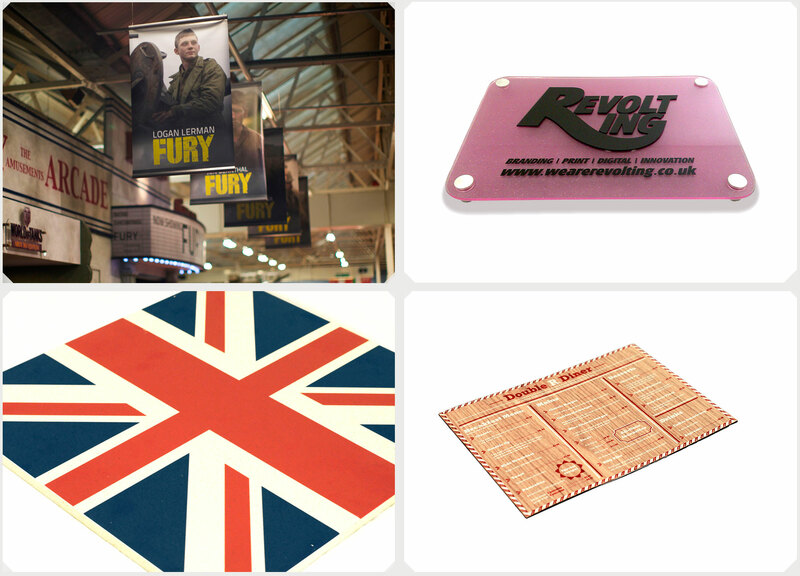 Whether you are looking for custom exhibition printing such as our work with the Fury Movie launch or corporate gifts we can print on everything imaginable. 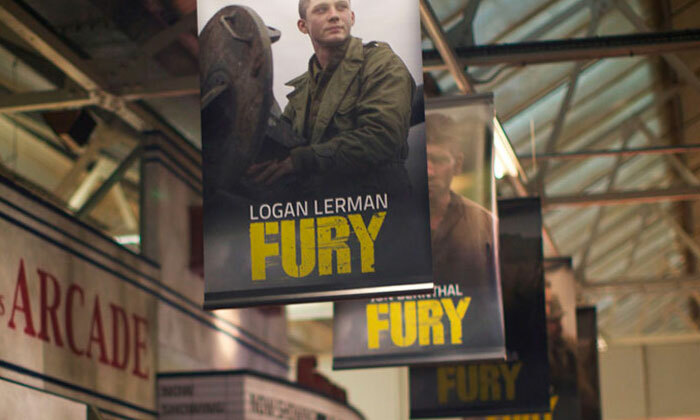 We had the pleasure of working on the Fury Exhibition at the Tank Museum in Dorset. 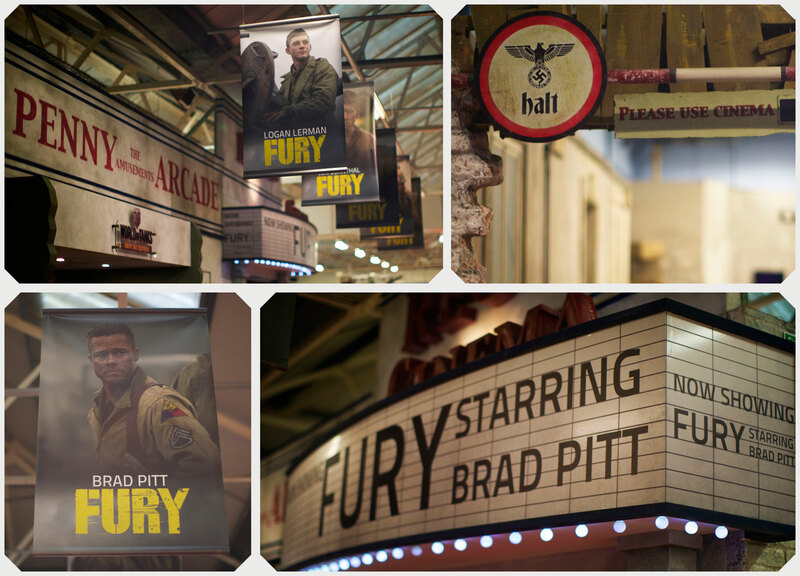 The exhibition was to celebrate the production and release of the film Fury starring Brad Pitt. The Tank Museum had an integral role in the film, supplying working WW2 tanks and their operators. 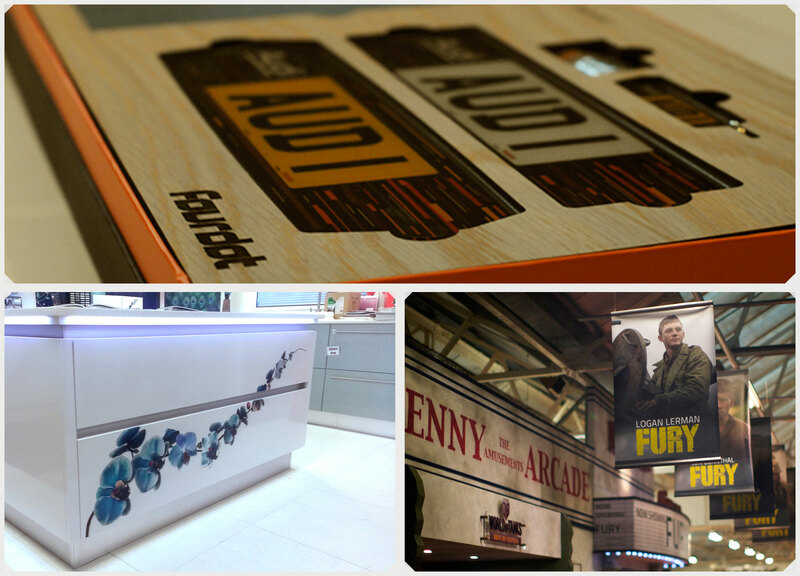 Fourdot produced a full suite of custom display items, which ranged from hi-resolution printed banners, custom 1940's signs and an entire classic cinema front. Fourdot produced a series of display signs for the Revolting Design agency. 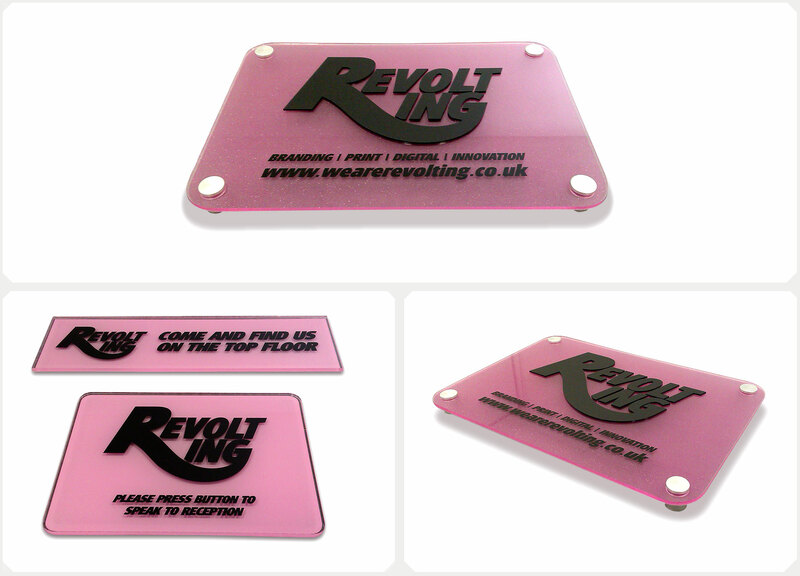 The Signs were produced by colour matching the Revolting brand colour pink and hi-resolution printing onto a combination of clear and frosted acrylic. The pieces were then treated with an extra layer of reflective laminate to give a sparkle effect. The logo and word content were cut from black acrylic and bonded to the pink glitter plate. The signs were laser cut and finished with brushed Acrylic lugs for wall fixing. Materials: Clear Cast Acrylic, Frosted Acrylic, Glitter Perspex, UV Ink, Black Matt Acylic, Aluminium Wall Lugs. 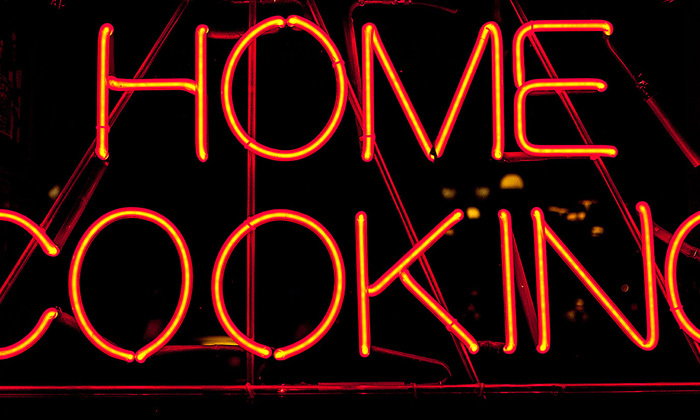 A custom menu was created for the Double R Diner for a summer festival. 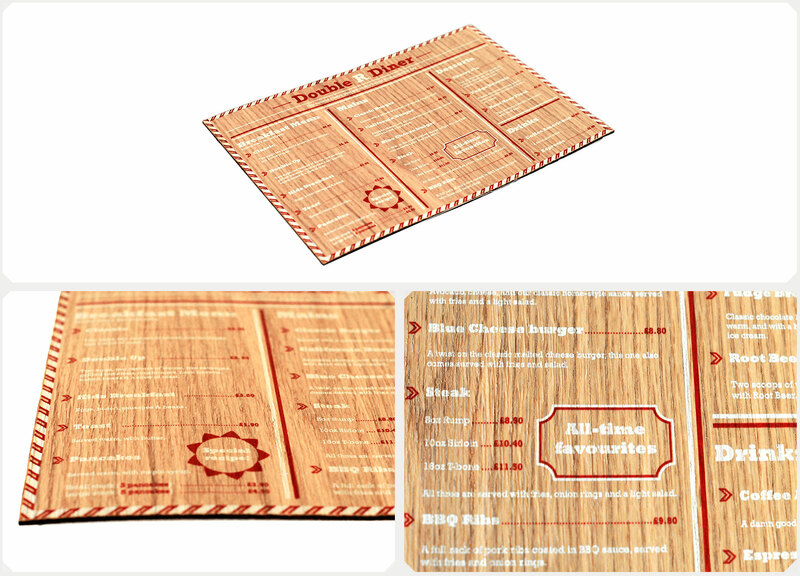 The menus were hi-resolution printed onto veneer with some elements masked and un-masked to create different printing effects. All pieces were laser cut from 2.5mm Oak Veneer using our large format Eurolaser. Materials: 2.5mm Oak Veneer, UV ink. Process: Hi-Resolution Printing, Laser Cut. A selection of cermanic tiles were printed in various colours and designs for a UK homeware exhibition. The tiles were UV printed and covered with a self repairing, invisible floor laminate to ensure longevity under footfall. Materials: Cermanic Tiles, UV Ink, Clear Floor Laminate. 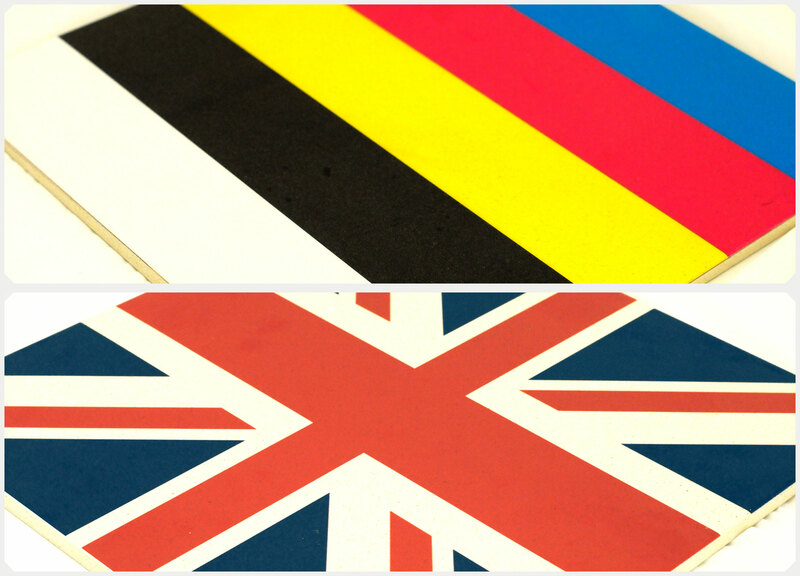 Process: Hi-Resolution Printing, High Pressure Laminate application. 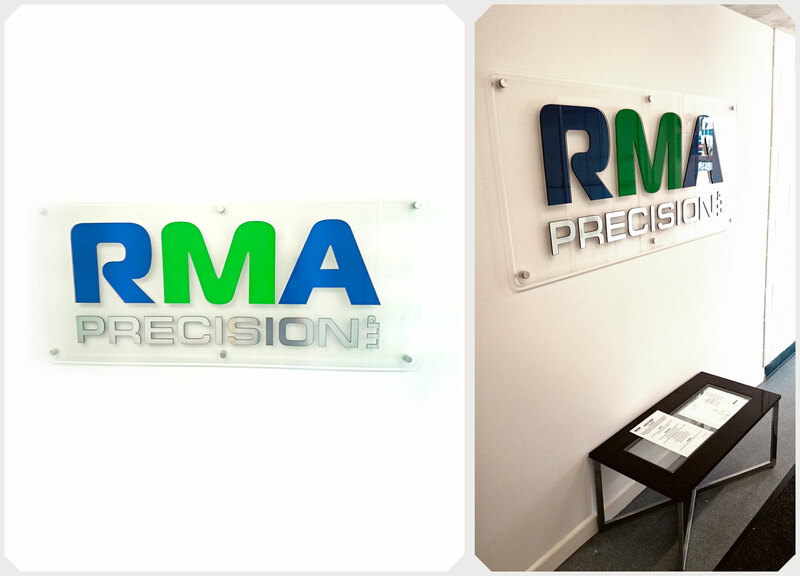 We produced signage for the RMA Precision UK offices. The Signage was a full 3D sign created from Arcylic. A mixture of clear, frosted, green and blue acrylic was used to create the 3D sign, which also included sheet aluminium application to metallic lettering. Materials: Clear Acrylic, Frosted Acylic, Green Acrylic, Blue Acrylic, Aluminium Sheeting, Aluminium Wall Lugs. Process: Laser Cut, Hi-Resolution Print, High Pressure Vinyl Application, Hand Fabrication. Over the next few slides you can see some fun projects picked out by the Fourdot team. 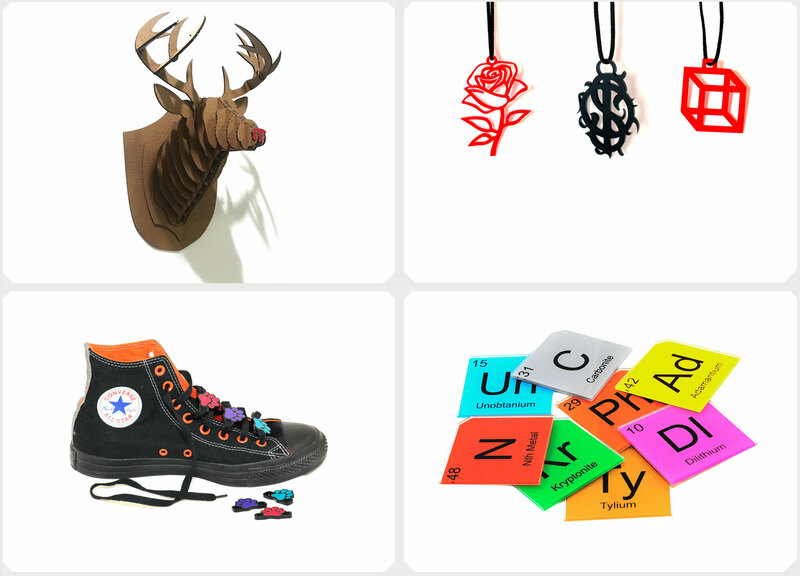 These projects span various items from Coasters and Wall Ornaments to Shoe Charms. Every piece was custom made for a selection of clients. Our clients have always taken a shine to our custom coasters! All coasters are made out of an assortment of materials using various processes, simple but great fun and very affective! The girls in our design team wanted to make some custom jewelry for a personal project, the next thing we knew our clients had their own ideas for some and now custom jewelry is an ongoing activity. The girls have selected some of their favourites, simple but effective! All jewelry shown is custom laser cut from cast acrylic and are available in many vibrant colours. As part of the girls jewlry project, they were able to explore custom rings and boy did these go down well with clients, they are not only custom but modern. The girls have selected some of their favourites from straight cuts to 3D designs, simple but effective! 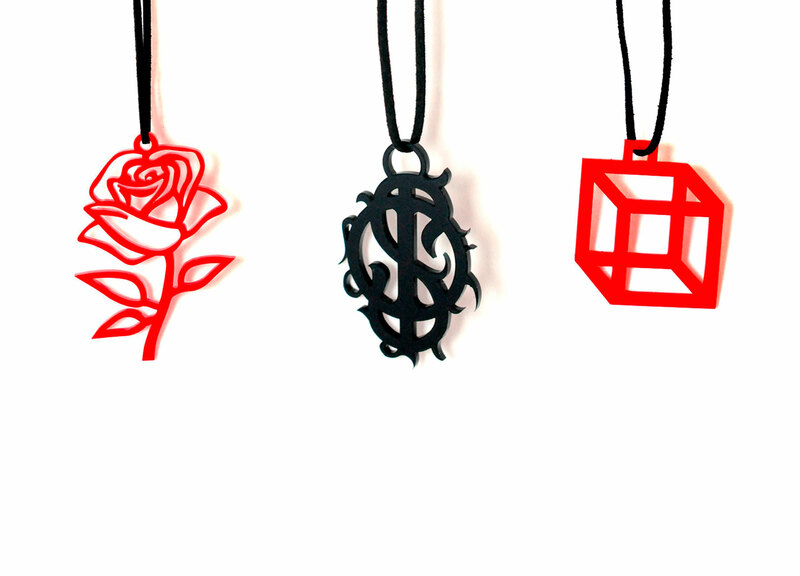 All jewelry shown are made from custom laser cuts from cast acrylic in many vibrant colours. All custom printed and cut for various clients looking for something small and fun for promotional giveaways. The only limit is your imagination. 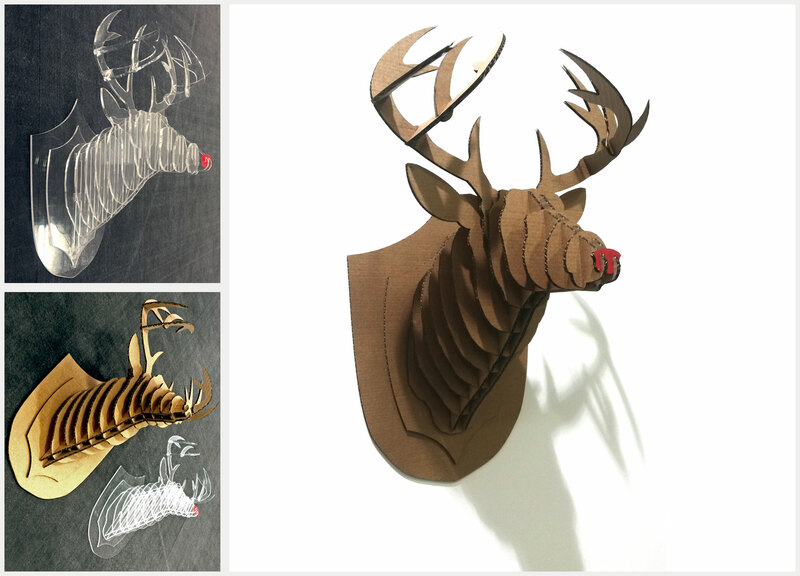 Have you always wanted a animal trophy on your wall without having to go on a hunt? Great Fun to put together and always brings a smile to passers by. A fun and different gift for your clients or yourself. 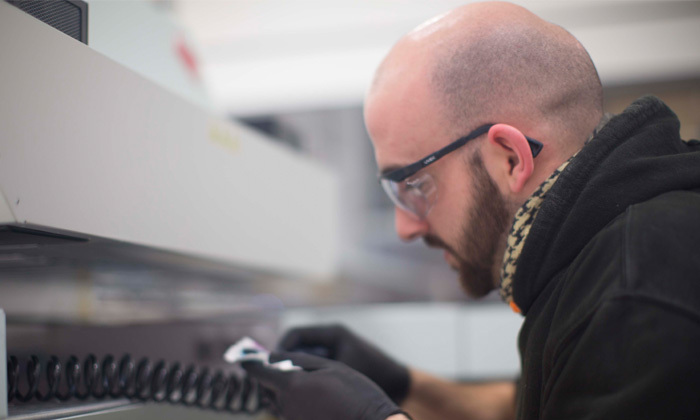 Making custom made products allows us to explore the true capabilities of our machines. The proof of this is in our packaging and display projects we have successfully completeled for many of our customers. 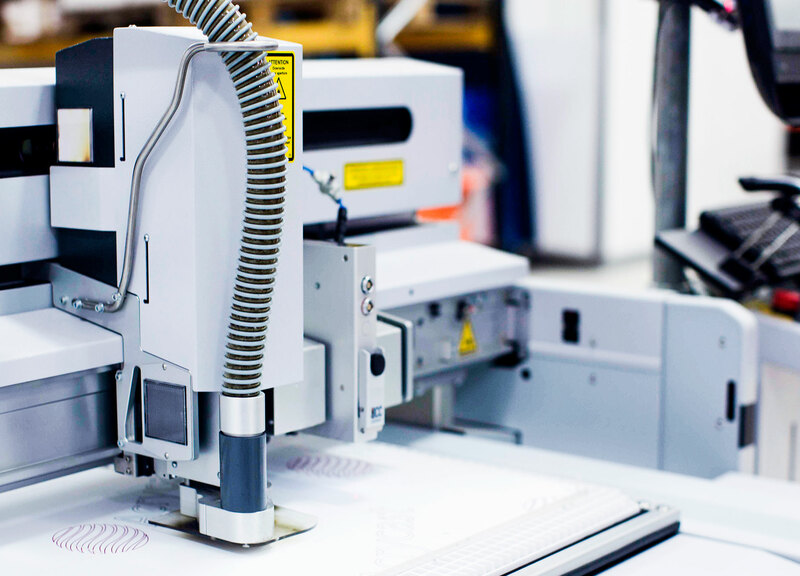 We realised that our machines were capable of not only making a singular product, but also of making a number of product elements resulting in an overall products such as luxury packaging, bespoke gift cards and household design applications. As we are a division of Fourdot Affinity Ltd we kindly agreed to design and fabricate their press packs for the designer plates project www.fourdotdesignerplates.co.uk. The promotional packs needed to contain miniature designer plates, a USB containing a digital press pack and a hard bound brochure. The pack was presented in a bespoke gift box, inside, the various parts were encapsulated in a custom routed foam section, overlayed with a laser cut and etched veneer board. 100 exclusive packs were made, with each pack laser engraved with the edition number, and were shipped out by us to the press. We produced custom vinyl prints for kitchen surfaces. 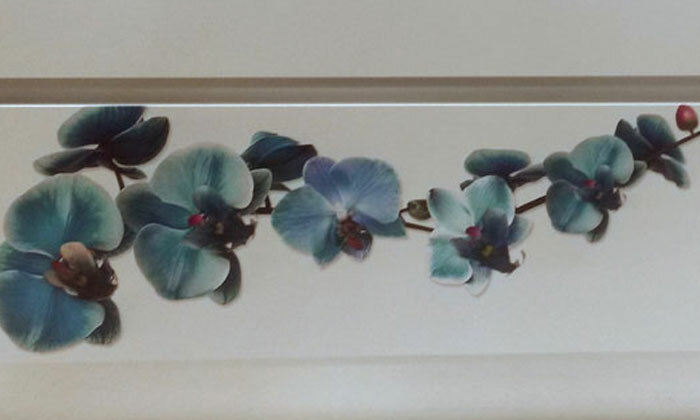 This was a hi-resolution flower printed onto clear vinyl and then applied to the kitchen counter. 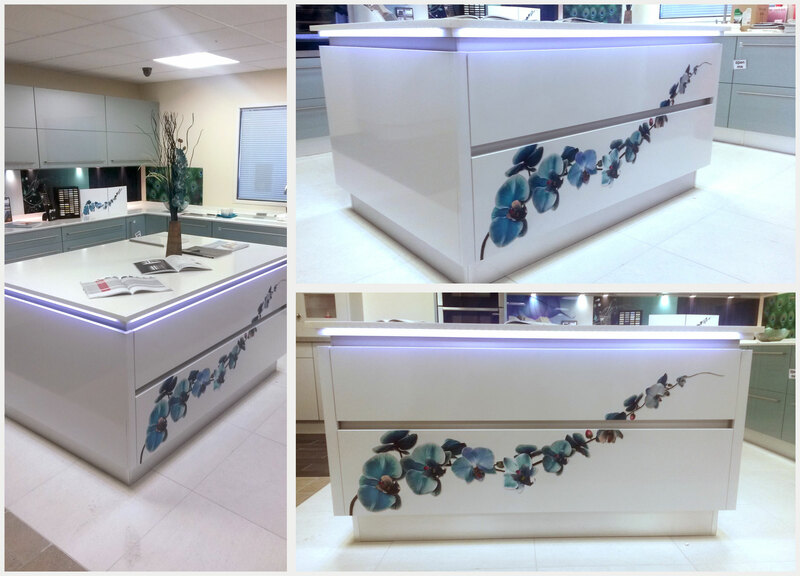 We also print directly onto acrylic for acrylic splash backs, allowing our customers to produce creative kitchen environments. We were asked to make some business cards that weren't like the standard plastic cards you can get anywhere. 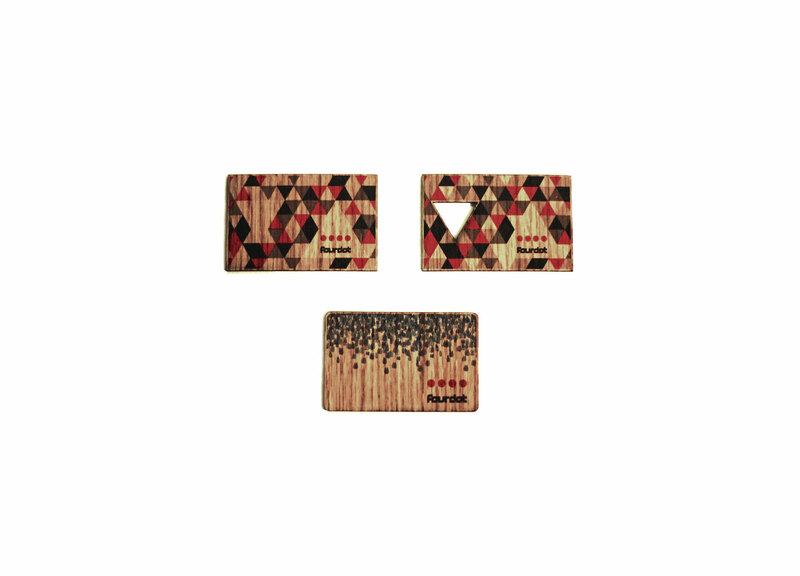 Our designers thought, rather than changing the shape, why don't we change the material, and produce oak veneer business cards! Using a process of printing, laser cutting and etching, we created business cards that our clients customers would never forget. Not only this, we used to the veneers natural colour as a back ground and incorporated it into the design. 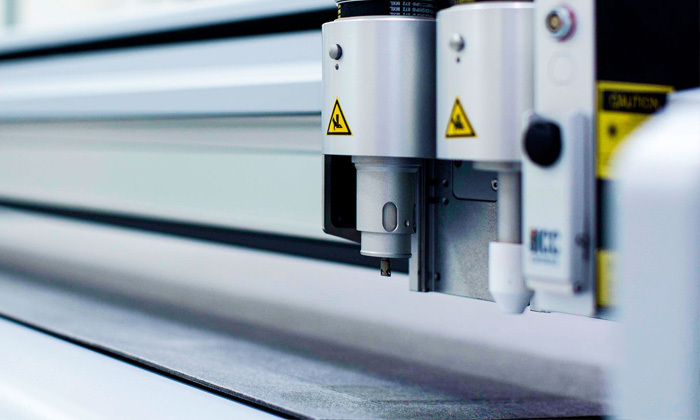 Fourdot Promo are very lucky to have a Eurolaser XL-3200 CO2 laser in our production facility, one of the best large format laser cutters on the market today. The 2270mm x 3200mm bed allows us to undertake very large fabrication projects or conduct large numbers of small product runs across a single substrate sheet. 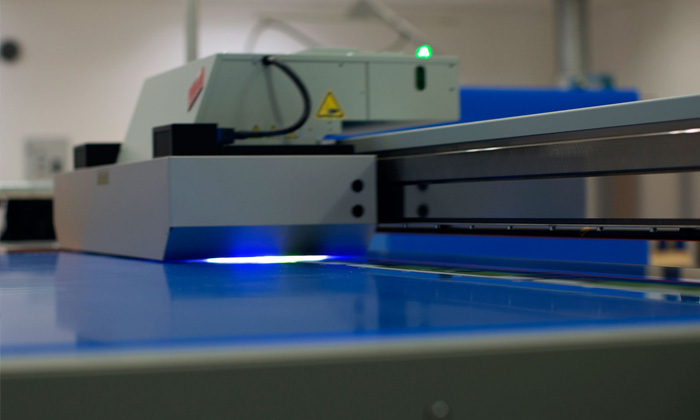 As it uses an optical recognition system it is the most accurate laser cutter on the market and capable of performing extremely complicated cuts and engraving requiring a high level of precision. We basically have the Rolls Royce of Laser cutters and we geek out to it every day. 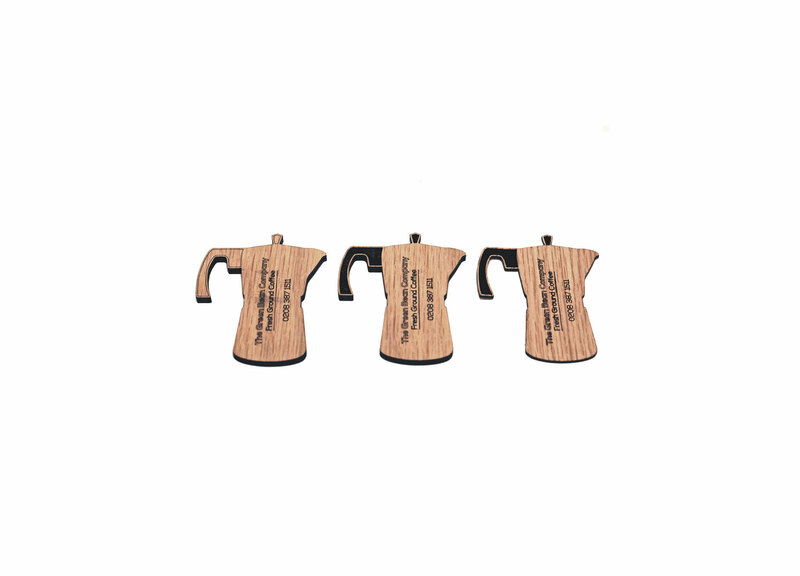 Using our Eurolaser XL-3200 Fourdot promo are able to laser engrave all manner of items and materials. The 2270mm x 3200mm bed allows us to undertake very large fabrication projects which include large scale engraving. Using a variety of speeds and power settings we can produce many different engraving effects depending on the material. Let us know what you are looking for and you can take advantage of our free proto-typing service. We have various printing methods available to us but our weapon of choice is the OCE Arizona 550GT. 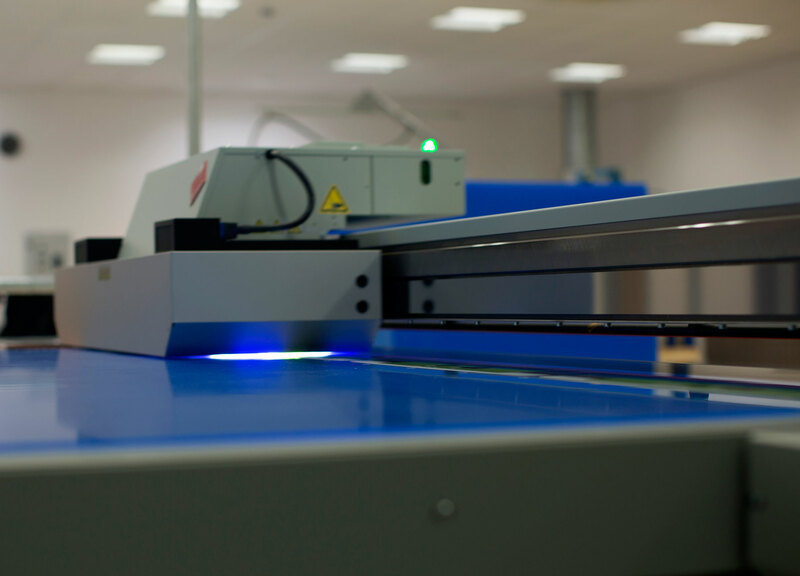 We use this large format UV printer every day for a large majority of our products. It has a bed size of 1250mm x 2500mm which allows for large format rigid media printing such as banners and large signage. 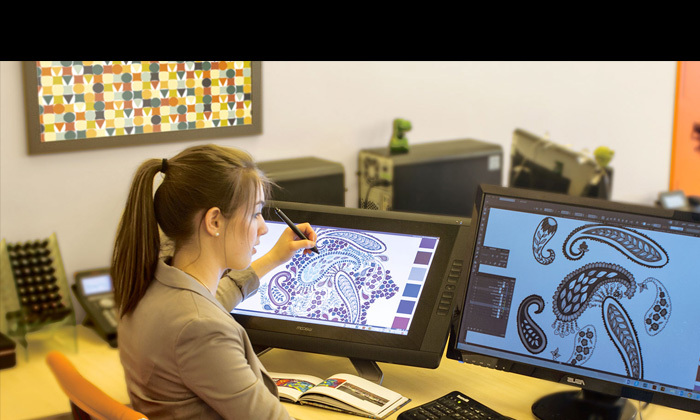 The oce will print on anything from acrylic and Foamex to ceramics, wood, glass and even carpet (textiles). 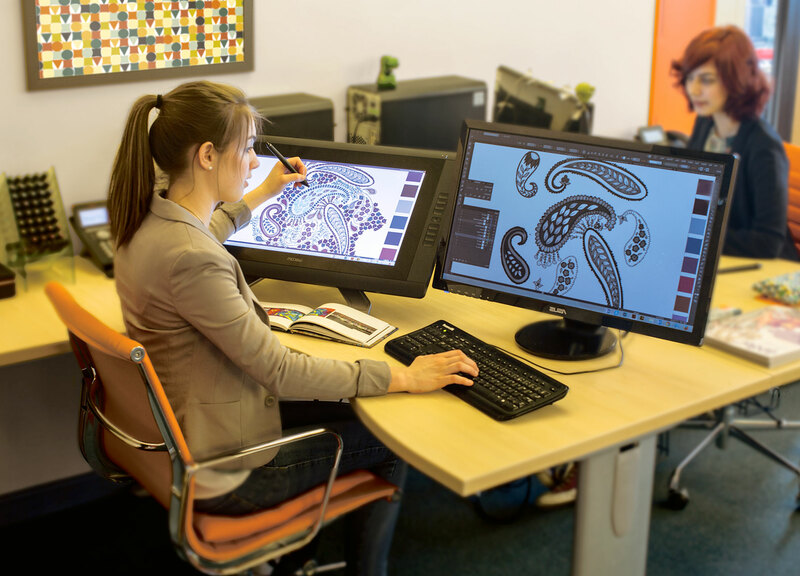 Our in house design team consists of graphic designers, product designers and packaging specialists. This allows us to consult across a range of acumens when working with our clients. We use a full range of software solutions such as Adobe suite, Auto CAD and Rhino (3D modelling) to service our clients design requirements. Depending on the size and complexity of your project we offer a free proto-typing and design service as an introduction to our company. 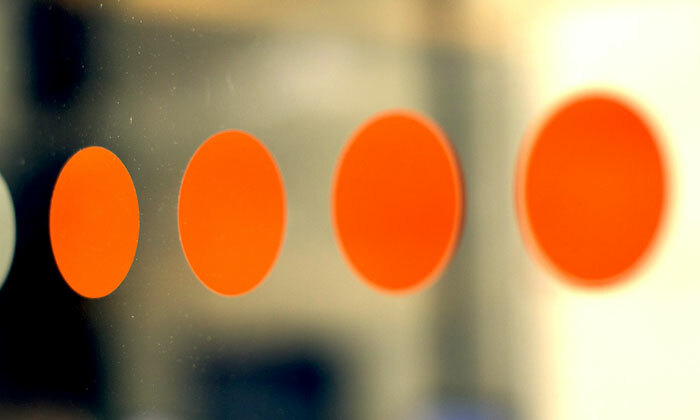 Fourdot Promo is a division of Fourdot Affinity Ltd, a UK based design company. 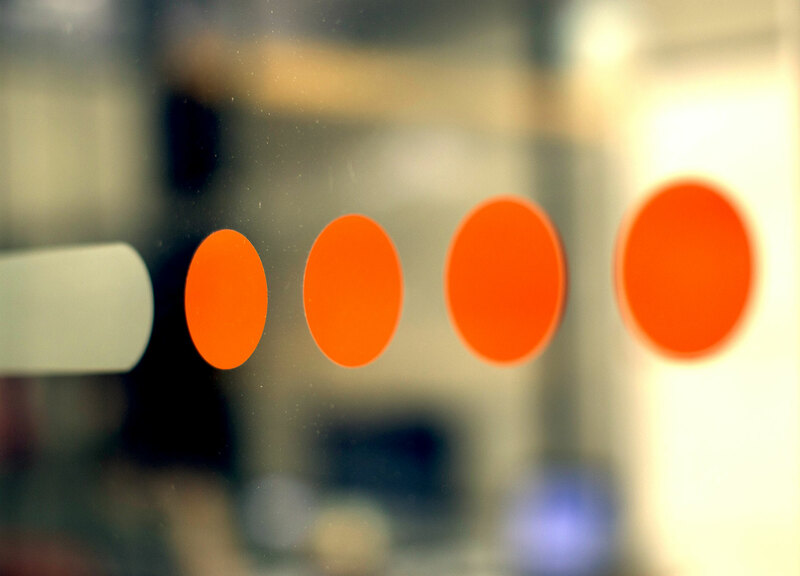 Our unique process helps us breathe new life into businesses and brands. Having a design studio and a manufacturing facility under one roof allows us to offer creative flexibility and superb production quality. 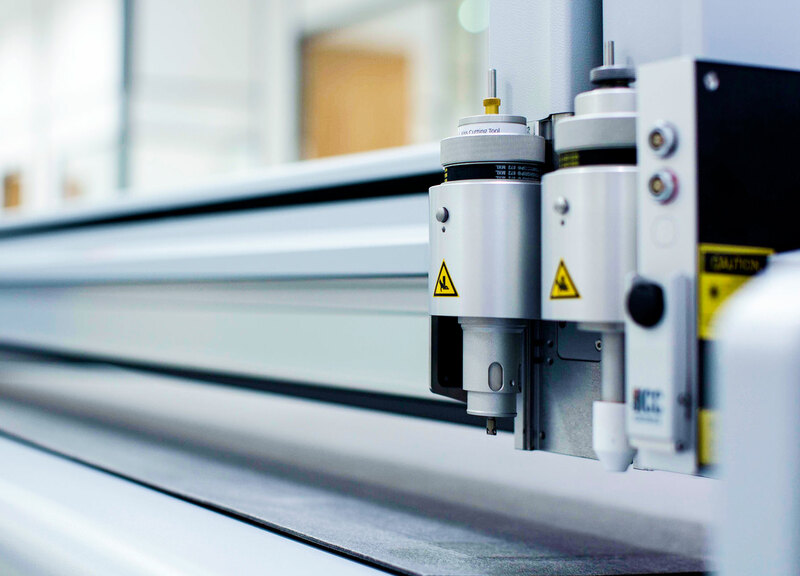 We combine Hi-resolution printing, laser cutting and fabrication techniques with an on site design team allows us to offer a personal consultative fabrication service to our clients. We love what we do and would love to hear what we can do for you! To offer unique, custom products and fabrication solutions through a unified design studio and manufacturing team. 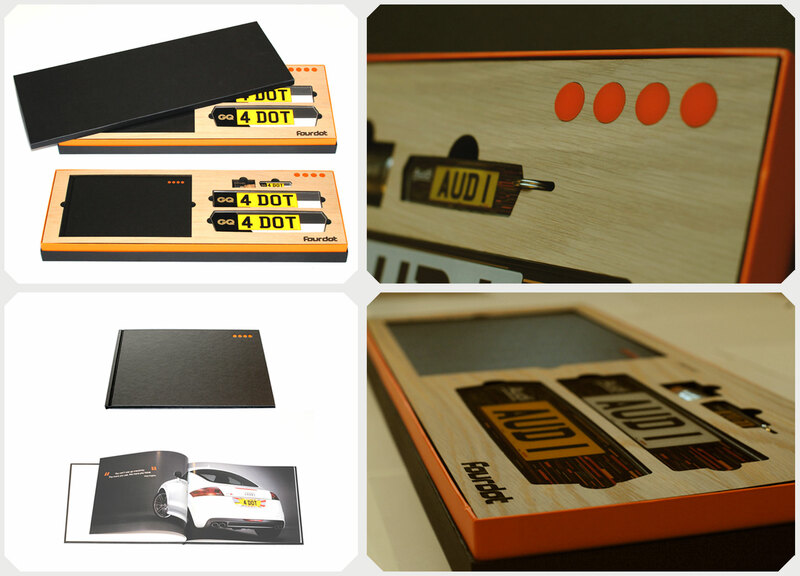 Fourdot Promo will work with almost every fabrication material on the market. Just let us know what you ideas have for your project and our design team will do the rest. If you're not sure on the materials or design don't worry we can arrange a design consultation aswell as sourcing the right materials for your project. If you have any questions its always best to call us, as 9 out of 10 of our services are bespoke, and every project is unique! Don't be shy we would love to chat about your project no matter how big or small today!